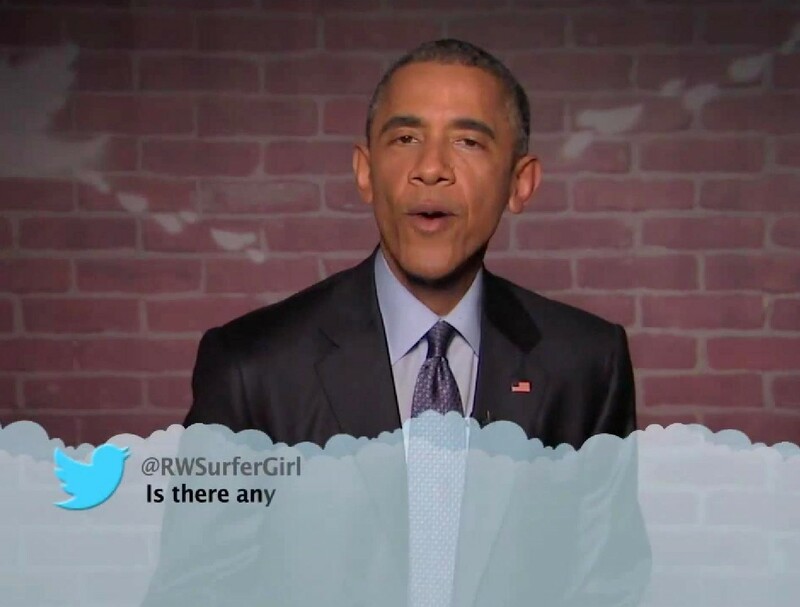 Dailybuzz.ch: President Barack Obama Reads Mean Tweets About Him On Jimmy Kimmel Live! President Barack Obama Reads Mean Tweets About Him On Jimmy Kimmel Live! From time to time, Jimmy Kimmel Live! give celebrities a chance to read some of the mean things people tweet about them. Just like celebrities, people tweet mean things about the Commander in Chief, too. Who happily agreed when offered! This is an all President Barack Obama edition of #MeanTweets.